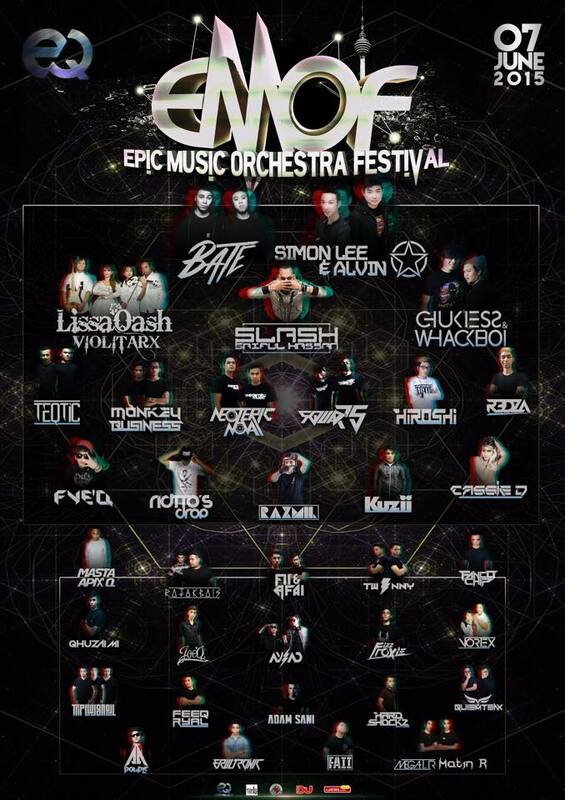 ELECTRONIC QASH 6.0 PRESENT.. (EMOF) EPIC MUSIC & ORCHESTRA FESTIVAL 2015 ! 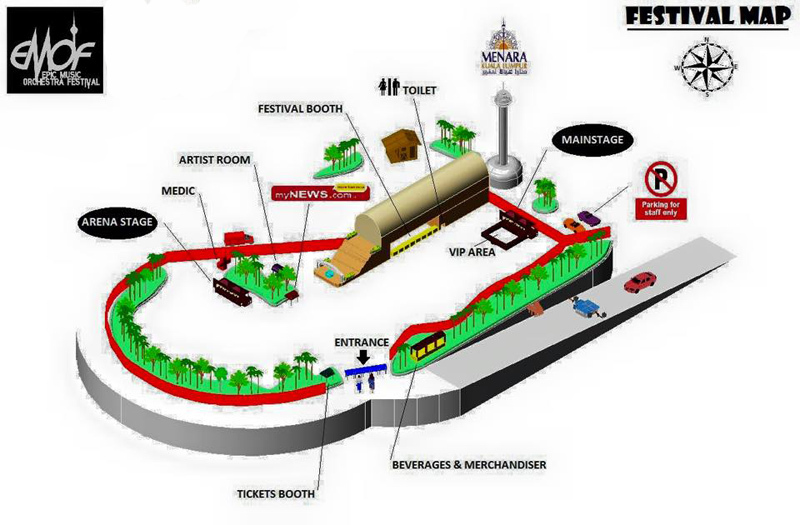 2 stages of EDM & orchestra music with 36 top acts featuring Malaysian renowned DJ like B.A.T.E, Simon & Alvin, Lissa Qash & Violtarx, Slash Saiful Hassan, Chukiess & Whackboi and more ! Plus special lighting show & fireworks !!!!! Definitely not to be missed events right next to second tallest tower in the city.